There is something amazing about chocolate Oreos and cream cheese. The smooth insides of these chocolate Oreo balls is dangerously good. I dare you to try stop at just one. 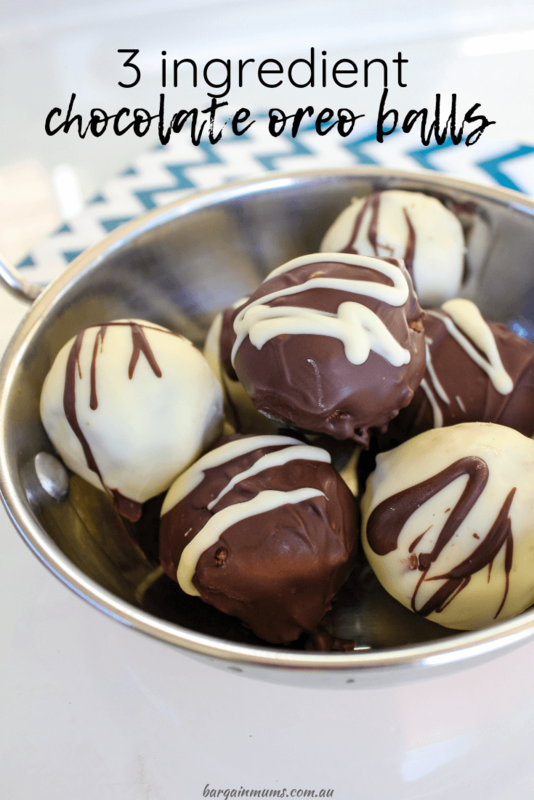 As with all of the other dessert ball recipes on our website, these Oreo balls are perfect for sharing. They are the perfect bite sized dessert that makes them great for entertaining. Make a batch for your next get together and I promise you will be popular with your friends and family. If you like these chocolate Oreo balls, you might also like to try our easy Milo balls, Tim Tam balls and 3 ingredient apricot balls. To make these chocolate Oreo balls, first add the Oreo cookies to a food processor and process until the cookies are crushed. Next, add the room temperature cream cheese to the crushed Oreos and process again until the Oreos and cream cheese are smooth and combined. Take tablespoons full of the Oreo mixture and roll in your hands to form a ball. Add the Oreo balls to a plate as you go. Once all of the mixture is formed into balls, it’s time to melt the chocolate and coat the Oreo balls. I coated half of my Oreo balls in white chocolate and half in dark chocolate, but you can coat all of yours in white chocolate or dark chocolate if you prefer. I also drizzled a little dark chocolate on the white chocolate balls, and white chocolate on the dark chocolate balls, but that’s completely optional. Once all of the Oreo balls are coated in the melted chocolate, place them in the fridge to set. Store the chocolate Oreo balls in the fridge, until they are ready to be served. Add the Oreo cookies to a food processor and process until finely crushed. Add the softened cream cheese to the crushed Oreos and process again until smooth and well combined. Take tablespoons full of the Oreo mixture and roll into balls. Melt the chocolate. Coat the Oreo balls in the melted chocolate. Place the Oreo balls in the fridge to set. Store in the fridge until ready to serve.